[youtuber youtube=’http://www.youtube.com/watch?v=5sI6OYxiR5A’] Ankh Entertainment, Stones In The Color of Rare and the Culver City News, had a chance to get a little hang time with, Meet The Media panel presented by the HPRA, Hispanic Public Relations Association.Â The event was held at the Hollywood based, Los Angeles Press Club. 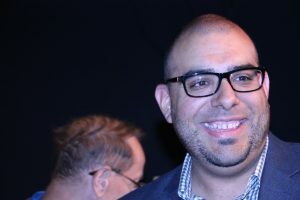 The panel was a breath of fresh air, staying away from the traditions of Hispanic Media, and focusing more on merging traditional and social media platforms. Moderator Rolando Nichols, Network News Anchor for Mundo Fox, managed to create a great flow of conversation between panelists, while each presented a personalized, yet professional take on where their diverse community stood amongst, what we call, they, “The Corporates”.Â Corporate America, is now gradually being challenged by a much broader world than than the familiar one of Black and White. The Corporates, come in all shapes and sizes while they live amongst the hills, valleys and annals of America’s monetary system. The media and it’s newest face,Â named appropriately social media, has now delved into language and culture attempting to broaden a very necessary landscape ofÂ ready made content. Â [youtuber youtube=’http://www.youtube.com/watch?v=lgeekn9cO7U’]Â The panelists was comprised of an alert and intellectual Hispanic American media community and the audience had the opportunity, to have a great interactive experience with La Opinion’s, Yurina Melara Valiulis, AP’s Spanish American Reporter, E. J. Tamara,Â Humberto Guida, American Latino TV, Latin Networks, Jason Barquero, Univision 34, free-lance reporter and on-air talent, and Hector Becerra, reporter for the Los Angeles Times.Â It was great to see a female amongst men and Yurina Melara Valilus proved herself worthy to carry the title of columnist for the largest Spanish daily newspaper in the US, LA Opinion.Â Â Given the opportunity, networks may have to re-consider their positions as the ever growing challenge to reach influential cultures like the Hispanic community, widens.Â As more countries adopt multi-lingual language platforms, culture, is the lead in communication and artistic expression.Â Now that Hispanics are becoming more involved in larger markets outside of their own, how is this involvement to shape the future of their history?Â Hector Becerra, found common ground with his discussion of how the elders of this close community cling to what once was, the names he’s been called and his irritation at receiving email pitches that have nothing to do with the stories he reports for the Los Angeles Times.Â What is too much assimilation? Humberto Guido, a very hip conversationalist, had a lot to say about the young Hispanics.Â The want it now, get it quick group are very adept at navigating themselves over complicated online verbage the panel agreed however, all speak good solid English and come ready made to handle a changing America, with or without Spanish.Â Laughter spread across the room although the subject matter was not to be taken lightly.Â Jason Barquero focused on his sports niche and the fact that he was bi-lingual, a rarity in the news and world of journalism. Hispanics are not just bright , they are brilliant in that they have managed to survive in an English speaking country. and with little or no money and adequate education. They rank among the unsung heroes and like their distant cousins, who wear permanent painted shades, have been able to make a place for themselves and find home in a land that is still working on how to upload their community with a compatible application. 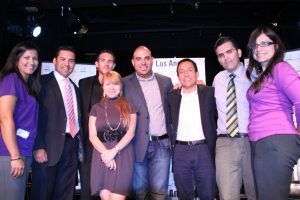 For more information on how to become a member of the HPRA please reference www.HPRA-USA.org.Â Â Contact panel members at the following: Rolando Nichols-MundoFOX @MundoFOX, Yurina Melara Valiulis, La Opinion @ YurinaMelara, E.J. Tamara-AP @EJTamara, Hector Becerra-Los Angeles Times @hbecerraLATimes, Humberto Guida-American Latino TV & LatiNation @ humbertoguida, Jason Barquero-Univision34.com @jaybarquero and dlopez@ARAS-inc.com.